Modern buildings are generally considered safe and healthful living environments. However; the advent of widespread internal climate control (air conditioning) and energy conservation measures have affected the infiltration of outside air and general ventilation. Older buildings were originally designed for flow through ventilation. Air conditioning of these older facilities have generally resulted in poor ventilation from the low air exchange rates. Energy conservation measures have resulted in better insulated, “tighter” buildings. These factors combined have resulted in what may be perceived as indoor air quality issues. The National Institute for Occupational Safety and Health (NIOSH) has conducted numerous indoor air quality investigations over the past decade. The predominant source of indoor air quality problems was found to be inadequate ventilation. Since the early 1990’s, the Office of Environmental Health and Safety (EHS) has addressed indoor air quality issues on campus. Research conducted at the University of Alabama, confirms the NIOSH conclusion that most IAQ issues are caused by inadequate general ventilation. The primary fundamental approach to improving indoor air quality is to increase ventilation. This is done not by opening windows, but by utilization of existing HVAC units with argumentation of ventilation if necessary. Many of the IAQ complaints received by EHS involve mold. Our initial response is to examine the area in question. Often dirt from the ventilation system and plaster effervescence is reported as a mold problem. 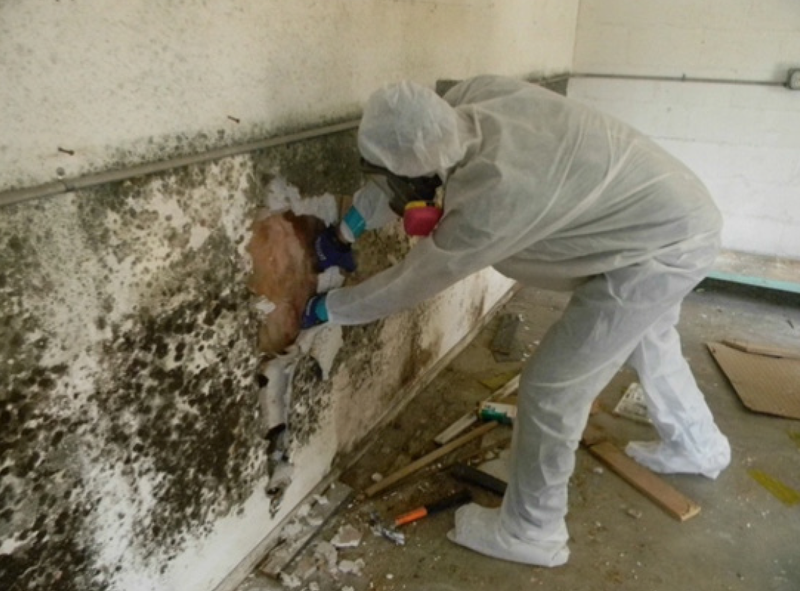 Mold is a unique issue in Alabama. It is indigenous, pervasive and ubiquitous. There is mold in every University facility, every building in the area and every home in the south. 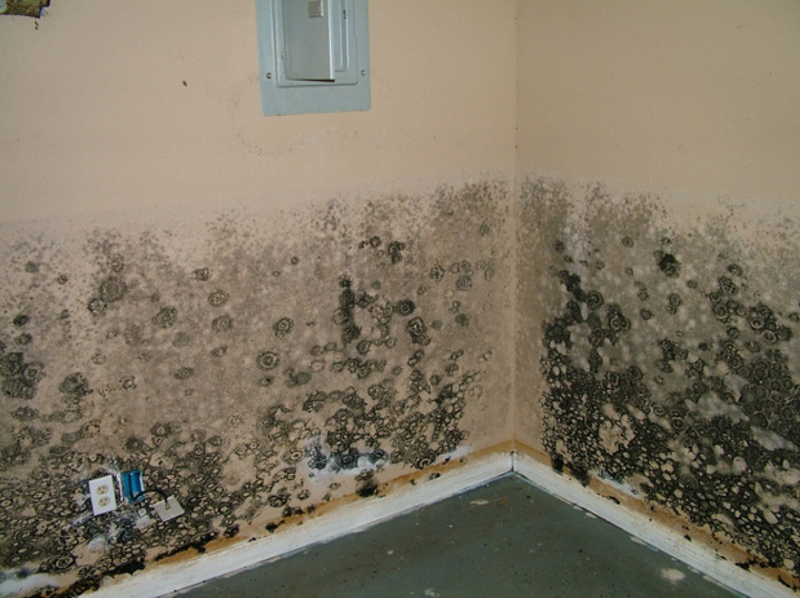 Visible mold may be treated by EHS. The product utilized is Triad III which is a fungicide, virucide, and bactericide. It is extremely effective but has no residual. Triad kills/destroys on contact, however it does not make mold disappear like Clorox does. The surface must be cleaned following treatment. It must be noted that mold in high humidity areas such as bathrooms is a cleaning issue not a situation requiring treatment by EHS. Testing for mold presents a unique set of challenges. There are no standards for exposure to mold. 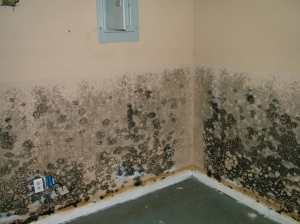 There are no limits for levels of indoor mold. There is no prescribed testing method. Over the years EHS has developed a method which incorporates sound scientific principles with fundamental applied research. When running samples a known volume of air is pulled through a Mixed Cellulose Ester (MCE) filter with 0.8 micron pore size. Samples are then submitted to a nationally recognized lab for analysis. Filter media is digested, placed onto plates, followed by microscopic identification and counting. Results are reported as specific organisms in colony forming units per cubic meter. Reports are normally received 3-6 weeks after samples are taken. Therefore; if visible mold is present, EHS will normally treat the area immediately rather than conduct sampling and wait for analysis. In the absence of regulatory standards, interpretation of the reported results could present difficulties. In April of 2002, Emory University published a study in Applied and Environmental Microbiology and gave the results of a three year research project. This study involved mold sampling, followed by growth on media, at over 1700 different sites throughout the southeast. Median airborne fungi levels reported in CFU/M³ were established for each season, indoor and outdoor, for specific organisms for the southeast. This is the best scientific data available and is utilized by EHS. Indoor air quality is a very complicated area of research. Numerous factors may be involved; including ventilation rates, humidity, hypersensitivity, perception, psychology and others. EHS personnel have extensive experience in managing these complex indoor air quality issues. In addition; those who supervise IAQ projects have successfully completed comprehensive training provided by the Indoor Air Quality Association. If you believe your area has a problem with indoor air quality, contact EHS for an evaluation. If you live in Residential Life, report any concerns through the appropriate community director.